So what’s the difference between Android and iOS anymore? While the two systems used to be more divergent, but the feature gap is closing fast, especially with this fall’s arrival of Android 6.0 (Marshmallow) and iOS 9. For example, both systems are upping the ante for their personal assistant software, trying to get ahead of Microsoft’s Cortana. As shown below, Google Now is getting tweaked, partly to provide more location-relevant suggestions and information and make it more helpful-but-creepy than ever. (“Hey what are you doing? Google Now is here for you, NOW!”) Apple’s faithful Siri assistant is getting some location-and contextual improvements to make her more useful as well. She’ll be able to remind you to do things in certain places, find photos from specific events and look up answers in more places online. 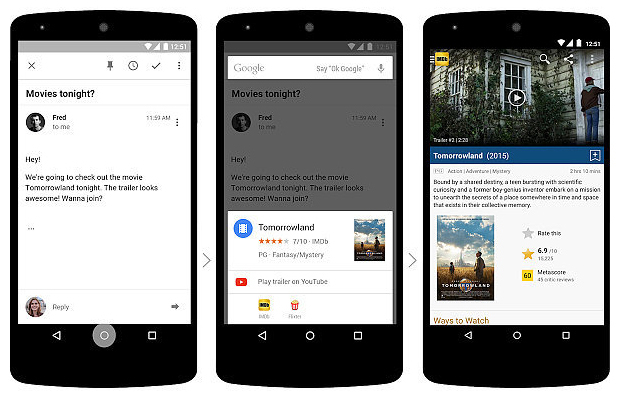 Google and Apple continue to “borrow” features from each other. Like iOS, Android Marshmallow will support a standard fingerprint ID — something Apple’s devices had for a few years in the form of Touch ID — but a feature that was a little more random across all the various Android handsets out there from different manufacturers. Of course, having a fingerprint scanner makes it easier for users to work mobile payment systems into their lives, and now Android Pay is here as the green-bot alternative to Apple Pay. 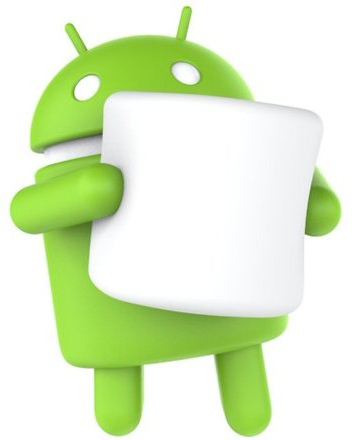 Also like iOS, Android 6.0 will offer tighter control over app permissions. Android Lollipop already has a Battery Saver mode, and Marshmallow is adding the Doze feature to slow down battery burn even more. Finally, iOS 9 is adding a low-power mode so iPhone users can more easily put the brakes on battery drain without having to go in and start turning off functions one by one to conserve juice. 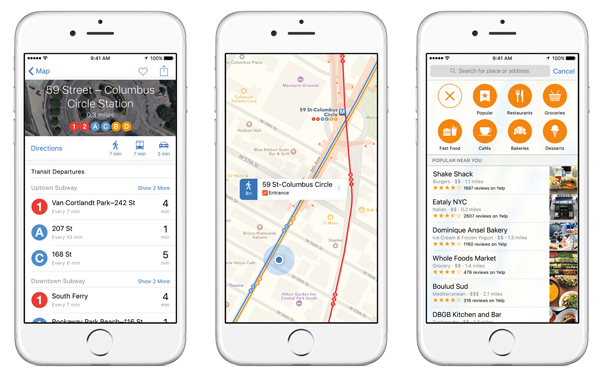 Google Maps (also available as a third-party app on iOS) has long owned the mobile mapping space, but iOS 9 will try to gain some ground with the new version of Apple Maps (shown here) that comes with better mass-transit information. However, people who do not live in urban areas and do not need mass-transit schedules — or those who drive everywhere anyway — may not care so much. 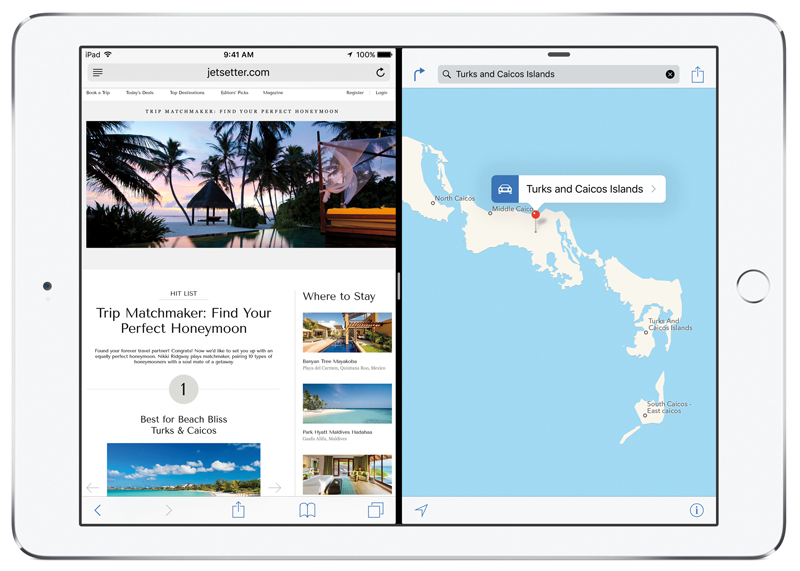 The improved Notes app and the new News app give iOS 9 users some new software to explore. The new version of Android will offer USB-C support, the same all-in-one port Apple touted for its MacBook laptops earlier this year. 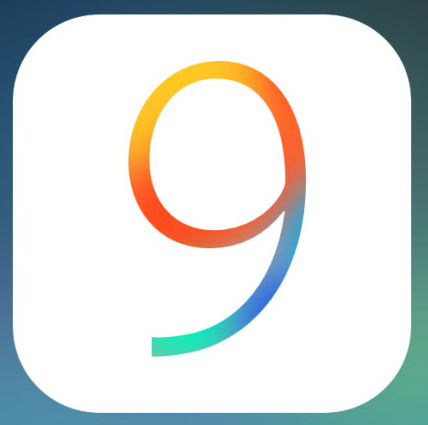 But it just may be iPad users may get the most out of iOS 9. For the larger devices. Apple is adding a better keyboard for the bigger screen, split-screen multitasking with apps (shown below) and a picture-in-picture window so you can FaceTime while also looking at apps. People rocking Android Marshmallow tablets can look forward to the multi-window mode and the spilt-keyboard function that’s been in iOS the past few versions. With all this feature parity, it won’t be long at all until both systems feel almost the same. With that, it all comes down to the two other factors that drive our mobile choices: hardware and ecosystem, which means you just need to pick how many megapixels you want in your phone’s camera and where you want to download your missed episodes of Minority Report — in case, of course, you forgot to have Google Now or Siri remind you to watch in the first place.